Forget The Avengers Superheroes, Rush To The Theaters For 2.O - Bold Outline : India's leading Online Lifestyle, Fashion & Travel Magazine. If you thought Iron Man, Thor, The Hulk and the rest of the Avengers were the superheroes of the year then hold on. Go to your nearby theatre and watch the new record-breaking Indian superhero flick of the year- 2.O, and if you think Thanos is the most powerful villain then wait to see Akshay Kumar as the dark superhero and a bird-man. In 2010, director S. Shankar created a history by going out of usual filmmaking as he created a visual wonder in the form of Enthiran – The Robot. The experiment turned out to be a blockbuster as the movie did a record-breaking business. 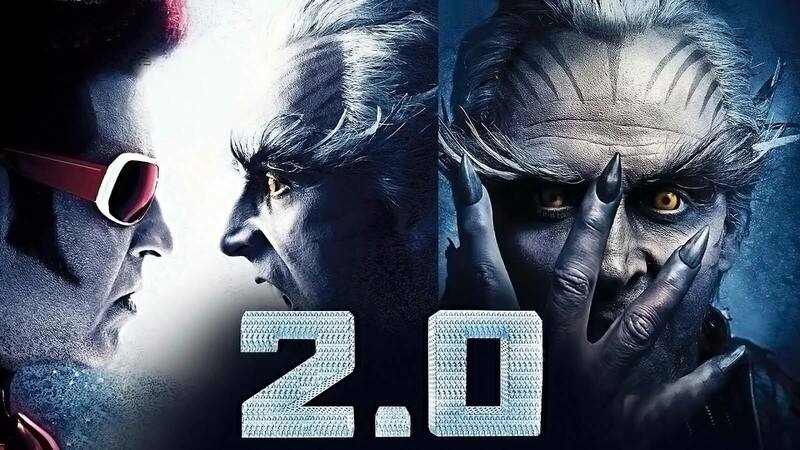 Eight years from then and the maverick filmmaker have now come out with its spiritual sequel in the form of 2.0. The Shankar’s creation, which has AR Rahman’s music, is about fifth force. In physics, there are four conventionally accepted fundamental forces (gravitational, electromagnetic, strong nuclear and weak nuclear forces). The scientists are carrying out to research on the fifth force which is said to be negative energy and 2.0 deals with it. The magnum opus is released in three languages- Hindi, Tamil and Telugu and is also reported to have released in over 10,000 screens worldwide. With its trailer and teaser along with the audio, had struck the chord with the viewers and was a buzz till its releases. With Shankar and Rajinikanth coming after two blockbusters Sivaji and Enthiran, the audience has reasons to have huge expectations on the mega-budget flick. The industry is expecting 2.0 to rewrite box office records. As per the reviews from the audience and the critics, the first half of the movie is quite smooth and engaging and the second half is the real excitement with its racy pace and spectacular climax. The grandeur in making and suspense factor keep the interest alive with the top-notch technical brilliance and the excellent graphics as the key elements. The realistic approach of the story and the added bonus of brilliant imagination make it the extravagant inventiveness on display. Both Rajinikanth and Akshay Kumar have delivered electrifying performances, which are the highlights of 2.0 and have become the absolute show stealers. With its phenomenal opening, the Indian blockbuster, with its VFX heavy world of 2.O is set to destroy all records!